You can work out with peace of mind knowing that your child is safe and having fun. Each child care staff member has attended our own Cal Fit Corporate Child Care Training program and submitted to a background check, in addition to being CPR and AED certified. First aid supplies are always on hand for minor injuries and we always keep track of where you — the parents — are in the club so you can be found immediately if there's an issue with your child. All doors accessible to children are child-proofed so they cannot easily be opened; all doors leading outside are locked and armed for child safety. All unused electrical outlets are covered with plastic plugs. When you first check in, you and your child are given a sticker with matching numbers. When you come pick up your child, we make sure your numbers match up, as well as visually verify that the same parent who dropped the child off is the same one to pick up. This way, you are the only person who can retrieve your child from Cal Fit child care. As an extra safety measure, we conduct a head count every half hour. All of the equipment, countertops, and toys in the children’s area are cleaned several times per day. If there's a ball pit, it's cleaned with a germ-killing solution. Walls, gates and doorknobs are cleaned on a regular basis, and the playground area is swept of debris – we even check the temperature of the playground equipment, which is important during the hot Sacramento summers. Each gym has separate restrooms for children and some designated just for families. Children who are visibly sick are not allowed into the child care area. 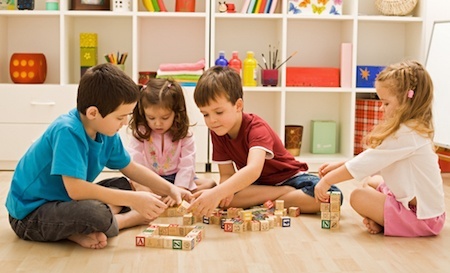 Read our complete child care rules. Our infant care service can take children from three months through the toddler stage. 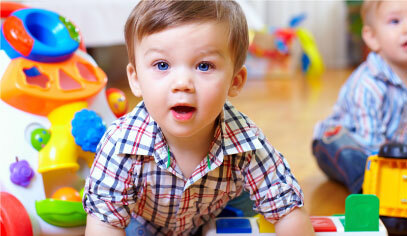 Our infant room is separated from the older kids and is equipped with cribs, walkers and diaper changing stations. Our caregivers are present and attentive 100% of the time and stimulate your baby with games and toys appropriate for the young imaginations. For small children of up to four years old, Cal Fit keeps separate play areas to keep them safe from older kids. They have their own special games and toys and (at some locations) an outdoor playground all to themselves! Plus, your child will enjoy exploring their creativity with arts and crafts and other fun projects for smaller kids. Age appropriate video games and story books are on hand to keep them engaged through your entire workout. The bigger kids from ages 4 to 11 get to play at the Kidz Klub! Here they have access scheduled activities, a kid-sized basketball court, a climbing maze, video games, and air hockey. Some locations even have a revolving rock wall! When you take your kids home, you may be surprised with a custom piece of hand-crafted artwork created during their time with us. We have a policy of no phones and tablets. Children aren’t allowed to bring them in for safety reasons, so this a great time for them to experience unplugged, old-fashioned play time. 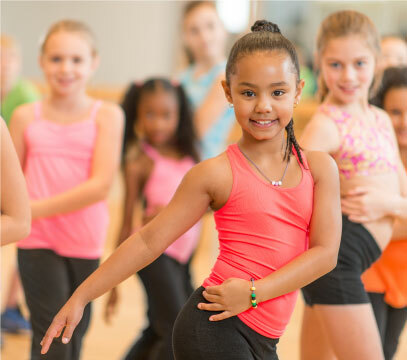 Can you believe there are even more ways for kids to have a great time at California Family Fitness? Don’t be surprised if they start begging to have their birthday parties here. And don’t worry — we can make it happen! Help your child learn the basics of fitness training! With FirstStep, a certified personal trainer will work with your child to teach them about proper weight training, nutrition and cardio exercise. Children 11 and under are not allowed to use the exercise equipment or be in the main workout areas unless they have completed this program. Club policies and workout etiquette will also be covered! 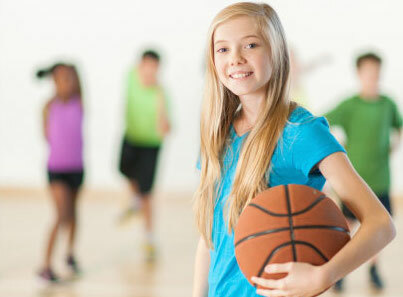 Learn more about kids' fitness program. Once a month, our child care supervisors entertain your kids so you can go out and be a grown-up again! Your child gets to be in a themed party with pizza, games, crafts and movies. The cost is around $20 for the first child plus $10 for each additional child. Cheaper than a babysitter! Learn more about Parent's Night Out. 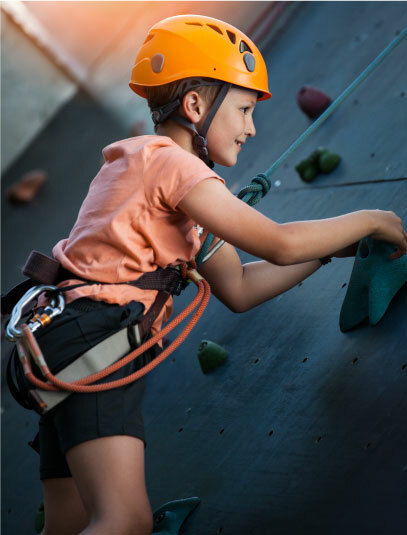 Our popular indoor rock climbing walls are available for use by kids who have reached the 35-pound size limit and are big enough to fit into a harness. Rotating rock walls for the smaller kids are available at select locations. All of the child care supervisors are trained in the safe use of climbing equipment. Many of our gyms with pools have a kid’s play area that can only be described as a mini water park! Our pool areas are super kid-friendly. The child pool is warm and inviting with beach-type access so your child can easily wade in and you can keep a sharp eye on them. No lifeguards are on duty at Cal Fit. You can even sit outdoors on a summer day and order a pizza after a dip in the pool and feel like you’re at a resort instead of a health club! Some of our locations have a snack bar too! Learn more about pools for children.